Train tests are under way at the scenic Angle Lake park-and-ride station, as Sound Transit readies for a September opening. 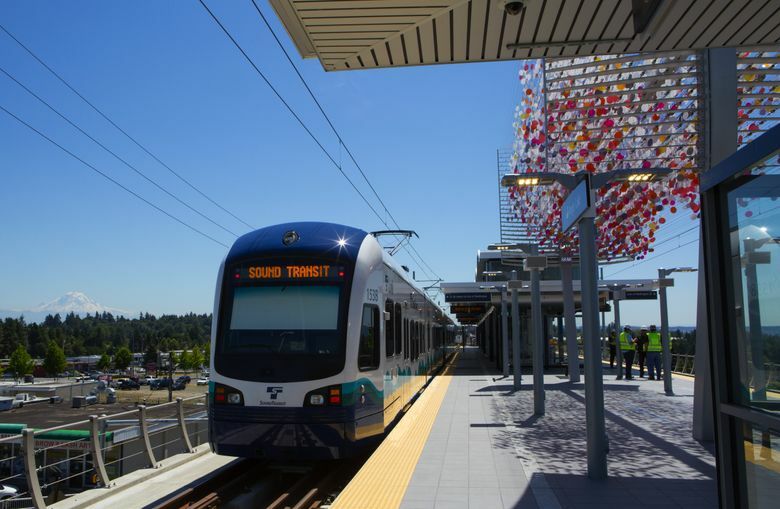 The whoosh of passing trains has begun south of the airport, as Sound Transit prepares to open Angle Lake Station sometime in September. 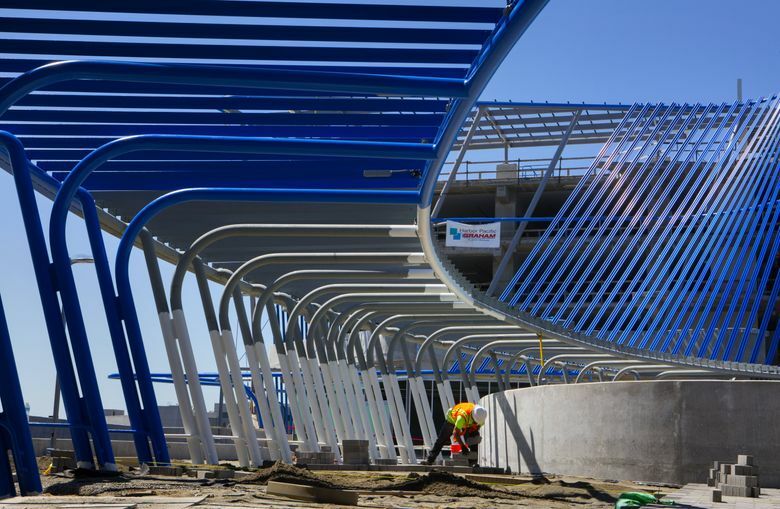 The elevated station, next to International Boulevard South and South 200th Street in SeaTac, features 1,120 park-and-ride spaces. It will serve as light rail’s south terminus for at least seven years. 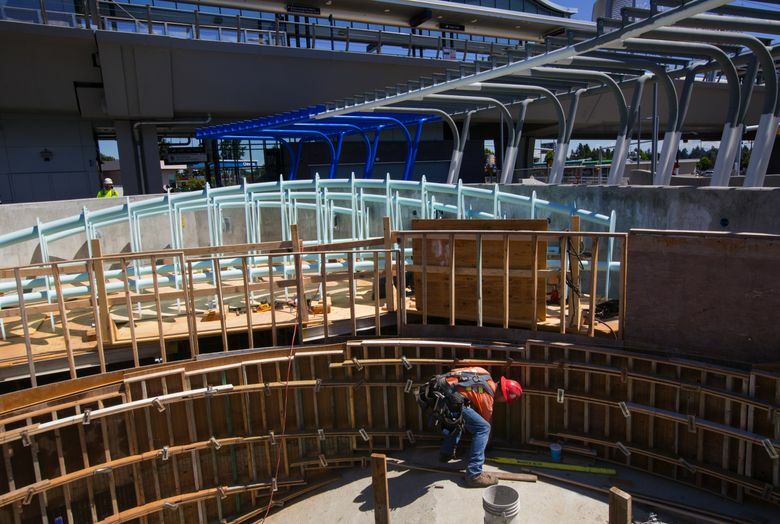 The station is expected to add 5,400 passengers to the system — half departing, half arriving. 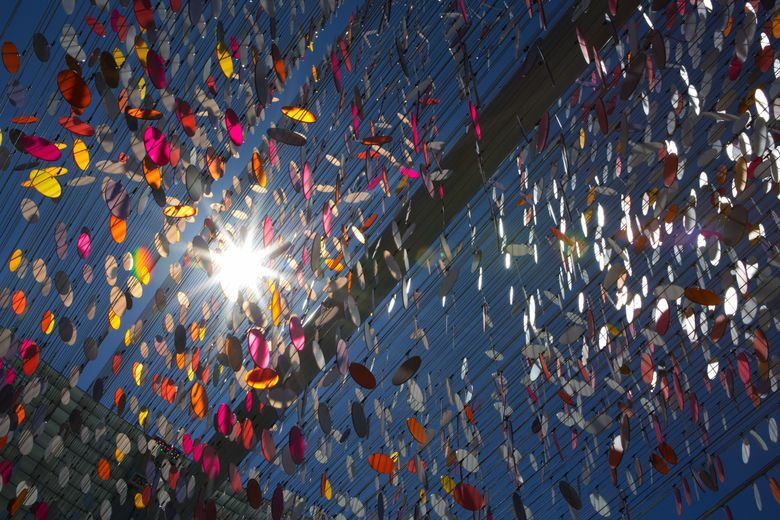 This follows the March opening of Capitol Hill and University of Washington tunnel stations, which boosted ridership by 30,000 passengers to 65,400 per weekday. Angle Lake Station was approved by voters in 1996 and promised by 2006. But Sound Transit grossly underestimated costs and wound up building the 21-mile corridor in five phases, to finally reach the University District in 2021. The 1.6-mile Angle Lake segment is $40 million under the $383 million estimate when construction started in 2013, CEO Peter Rogoff said. From the station platform, riders can see Mount Rainier and Puget Sound, or ponder the Federal Detention Center, down the hill. Tests started in June for power, tracks and signals. Next month, empty trains will run every six to 10 minutes between SeaTac/Airport Station and Angle Lake. Noise is a potential problem to consider during tests. In 2009, screeching train wheels made conversation almost impossible near the Duwamish River curve in north Tukwila, until millions were spent to lubricate the rails and muffle sounds. 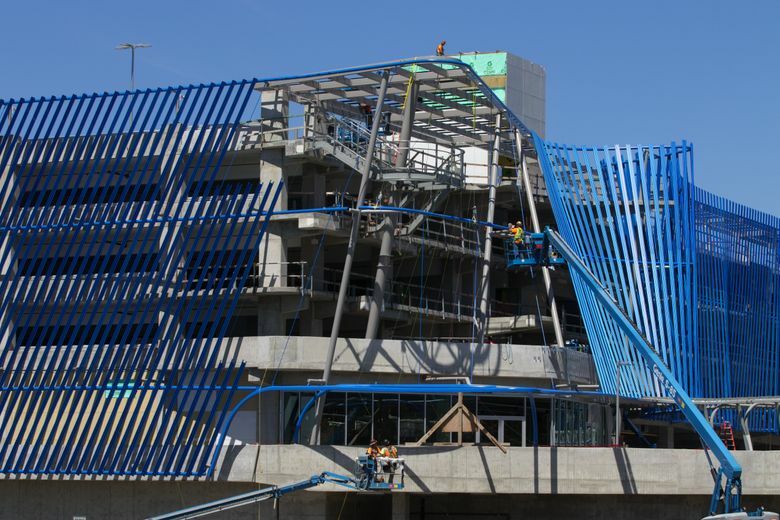 At Angle Lake, noise walls were pre-emptively installed between the aerial trackway and motels, and there have been no complaints, said project director Miles Haupt. The community around the station is diverse, with 50 percent racial minorities and 18 percent low-income families, a federally required equity study says. People have five ways to arrive: park-and-ride; the RapidRide A Line bus; car or taxi drop-offs; walking from home; or bike lanes going west into Des Moines. The new 289-unit Reserve at SeaTac senior apartments are nearly finished, four hotels are in the permitting or construction stages, and an office-retail complex is proposed nearby, so “people can take the train to work from Seattle,” said Jeff Robinson, SeaTac community and economic-development director. Critics will argue the boulevard is already well served by A Line at a fraction of the cost for rail, so the region should embrace bus-rapid transit and self-driving cars.